The contest is held outside of the John Deere Agriculture Building, but moves indoors in case of rain. Contestants are required to identify live specimens of important Iowa weeds (to challenge the professionals, we also include some not-so-common weeds of Iowa). There are three divisions (Professional, Novice, and Youth), so everybody has an opportunity to win a coveted State Fair Ribbon, along with cash prizes. 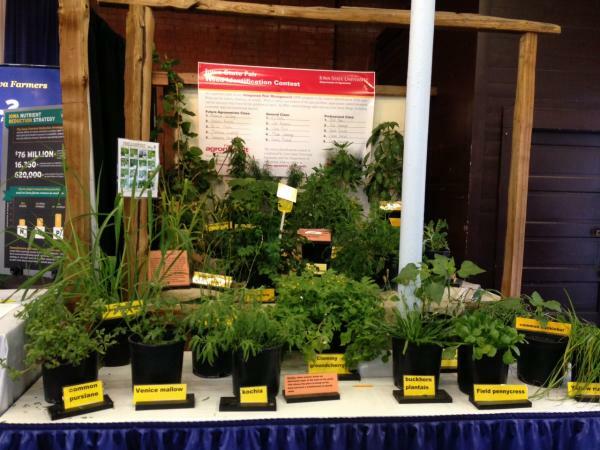 Complete rules can be found in the State Fair Premium Book, Weed Identification Contest, Divison 149.